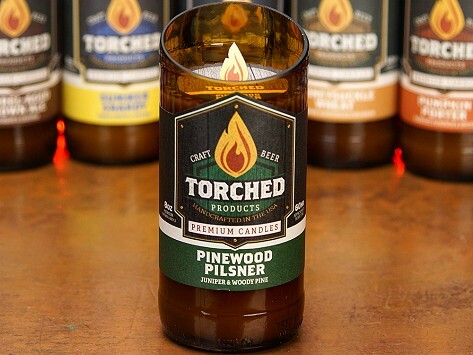 Crafted from amber beer bottles, bombers, or growlers, Torched Beer Bottle soy wax candles are inspired by tasting notes of craft beer and ciders. Skillfully cut at a 20° angle, these containers have a distinctive shape that transcends their six pack past. The proprietary soy wax blend is made from only the best ingredients, ensuring a superior candle with the cleanest burn. 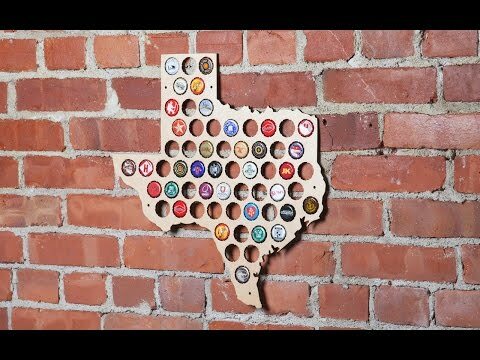 Perfect for any beer lover out there, these candles provide a touch of unique home décor. Dimensions: Small: 2.3" diameter x 5.3"; Medium: 2.6" diameter x 5.3"; Large: 4.75" diameter x 5.6"
Weight: Small: 0.8 lb. ; Medium: 1.1 lb. ; Large: 3.2 lbs.